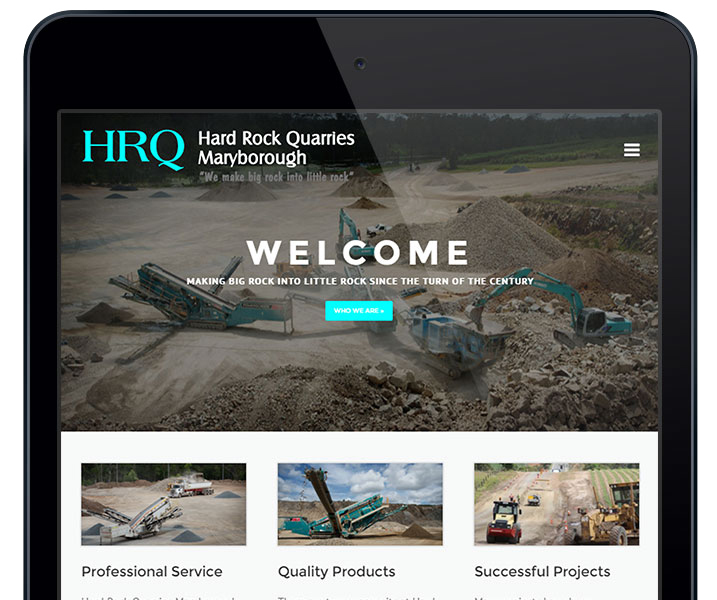 Hard Rock Quarries new website is a 6 page promotional tool showcasing products, services and other essential information about the business to potential clients and customers online. The website is powered by the very popular WordPress content management system which is one of the latest tools in web design & development allowing for easy maintenance and updating of the site. HRQ takes advantage of Jen Mulligan Design’s monthly maintenance service which ensures piece of mind that their website is always kept up to date and any content changes or updates are just a quick email away. The plan also includes a traffic and maintenance report delivered every month so you know exactly how much traffic your website is receiving and what is working for your business. The website for Hard Rock Quarries prior to the redesign had been neglected resulting in an under-performing promotional tool. The website was also suffering from layout issues and did not allow for viewing on devices such as iPads and iPhones. 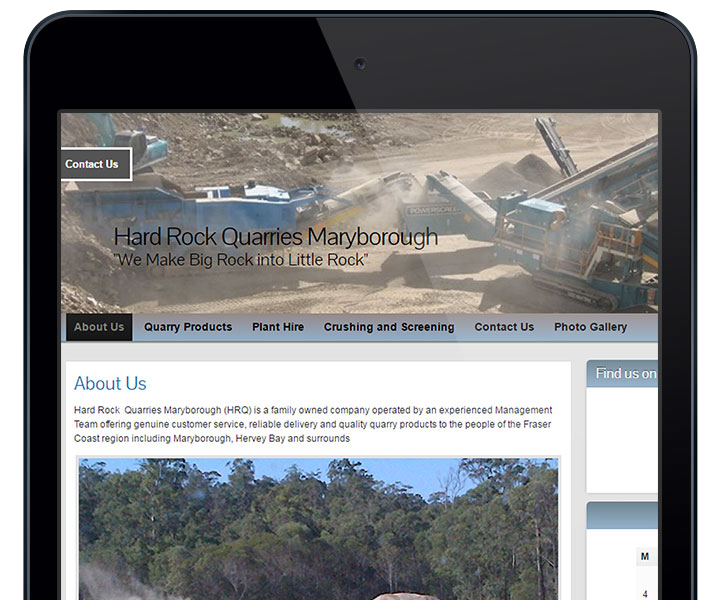 After the redesign, Hard Rock Quarries have a professionally designed website that is optimised to display on mobiles, tablets and desktop computers. The site is also optimised to appear in search engines using SEO to drive more traffic to the site to showcase what Hard Rock Quarries is all about.